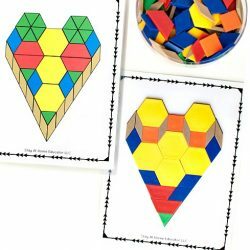 Need some heart themed math activity for your preschool Valentine’s centers? 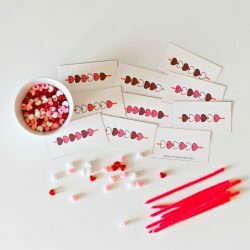 This measurement activity for preschoolers teaching size matching and sequencing, and it includes a free printable to add to your Valentine’s math centers. Of course, it is ok with me that my preschooler keeps herself busy learning about size differences, sequencing, and even some patterning. I’m kinda’ a sucker for nesting cookie cutters like these. They come around Walmart, Target, and even sometimes the Dollar Store for just about every holiday and I ALWAYS snag a few sets because they are fantastic for teaching a ton of math skills! And I mean a ton! And they’re pretty fun for process art, too. But when I grabbed these heart shaped cookie cutters I had a specific idea in mind. A Valentine’s tray for my math preschool center. 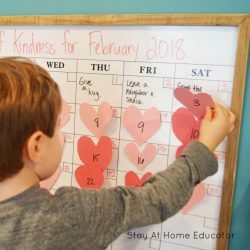 Please note that this post has been recently updated to include free printable task cards! Be sure to grab them at the end of the post. These are all skills related to teaching measurement to preschoolers. If you want to make your own, it’s really simple. Just trace around each cookie cutter using a color coordinated marker. But the free printable will certainly save you time! Print and laminate the printable at the end of this post. Cut in half and laminate for added durability. 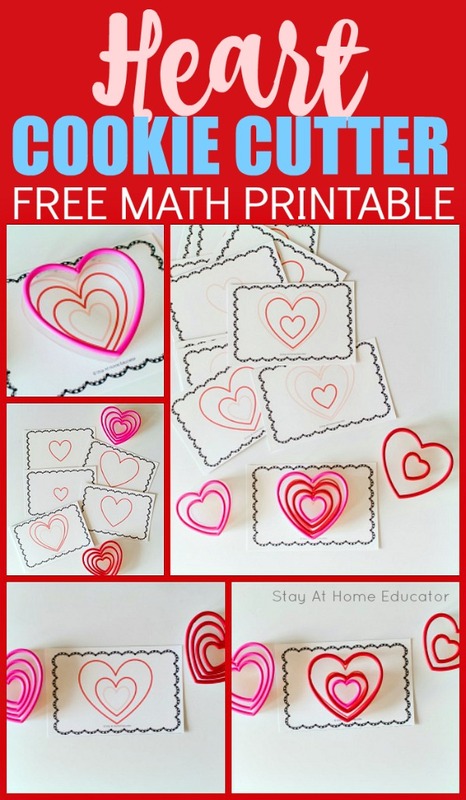 Place the task cards in a tray with two sets of heart-shaped nesting cookie cutters. Invite your preschooler to start making matches! 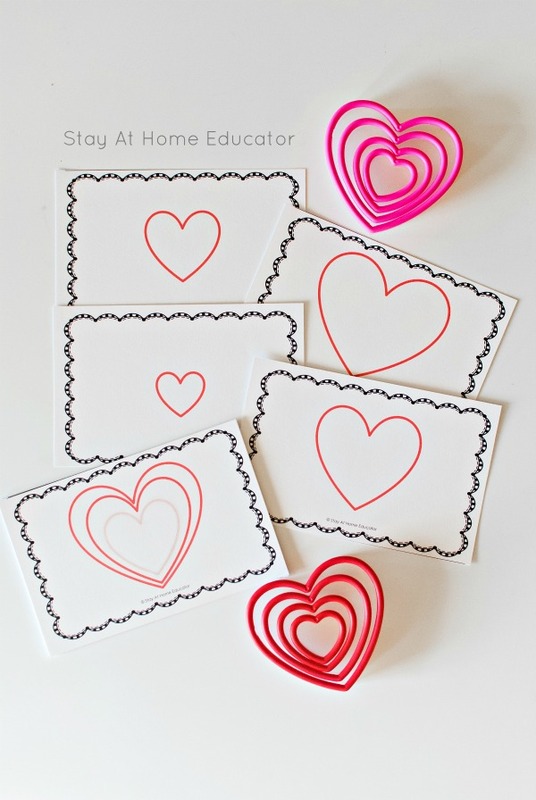 After introducing these cards to my preschoolers, I like to leave the tray in my Valentine’s math center. The printable includes cards with single hearts as well as multiple hearts on the same task card. 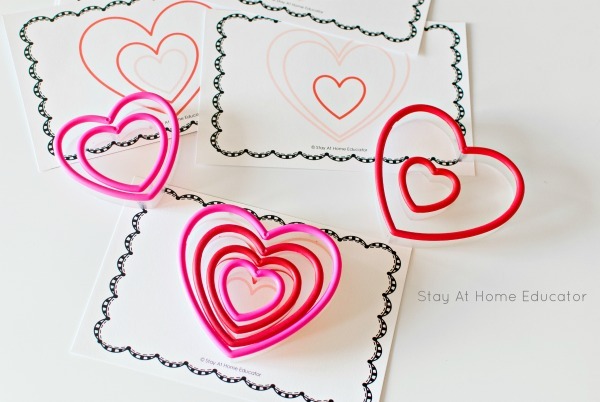 The idea is to match the heart cookie cutters to the corresponding hearts printed on the task cards. 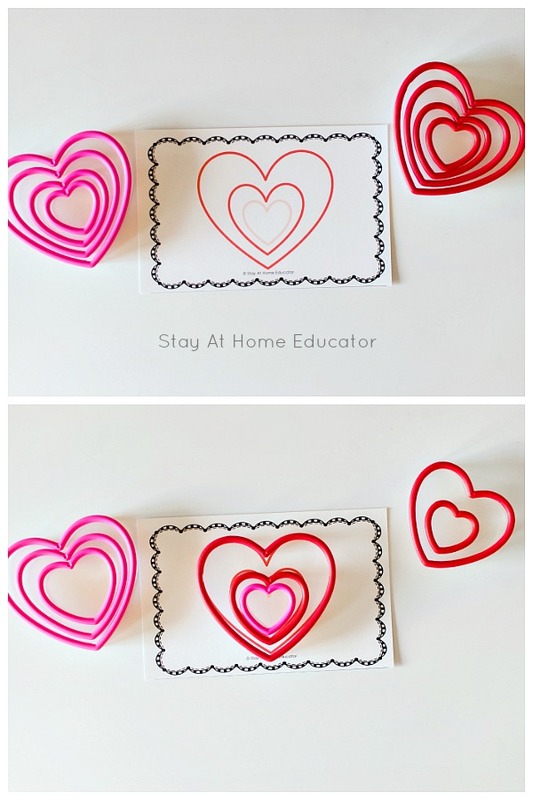 The task cards use up to four nesting cookie cutters, so your preschooler will have to not only find the right color to match but also the right size. 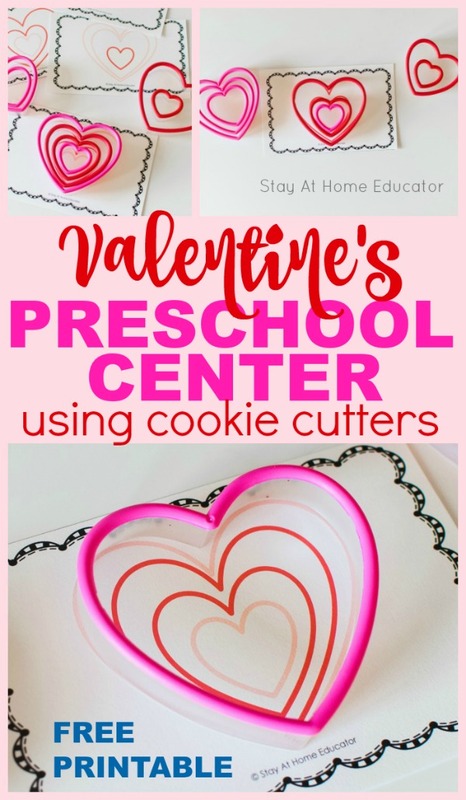 This is more difficult if some of the sizes are missing from the task card because then the preschooler has less information to work with when deciding on which cookie cutter might be the correct size. There are sixteen different task cards included, meaning you can meet a wide range of skills in your preschool classroom. Of course, for an even bigger challenge, you can invite your preschoolers to make up new pattern cards, too! But don’t forget to grab your free printable from the end of this post! As with all our other activities, this one was paired with some of our favorite books. I know my kids always look forward to seeing what new books I have to read with our activities, and I’m fairly certain they’d let me read to them all day long if I could. 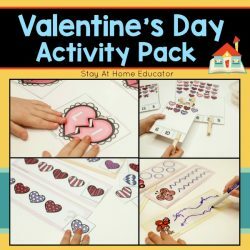 Below are a few of the books we read specifically for this activity, as well as some others in our Valentine’s home library. 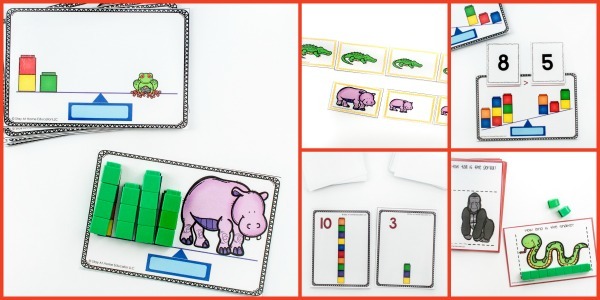 This simple activity is a perfect one to teach measurement to preschoolers. 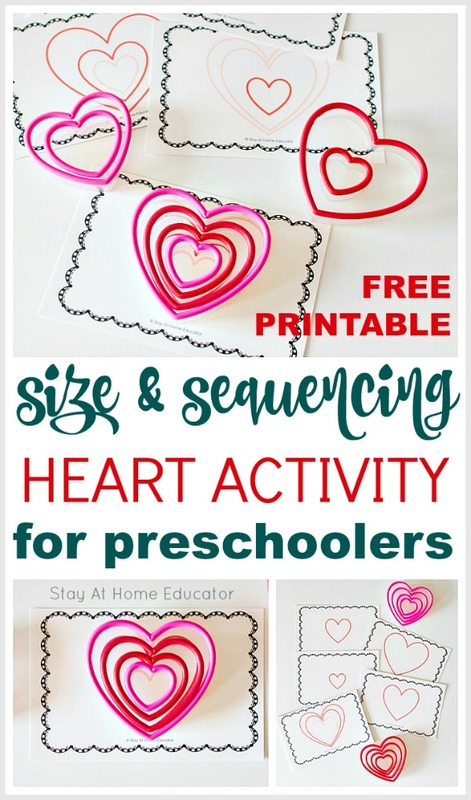 Through matching heart cookie cutters, preschoolers learn and reinforce sequencing and order skills, size and color differentiation, and puzzles and patterning. 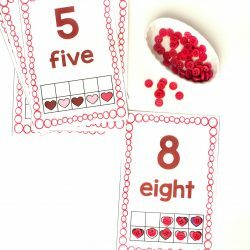 Think this is a math tray you need in your Valentine’s preschool centers? You can grab your own free copy by clicking the image below! 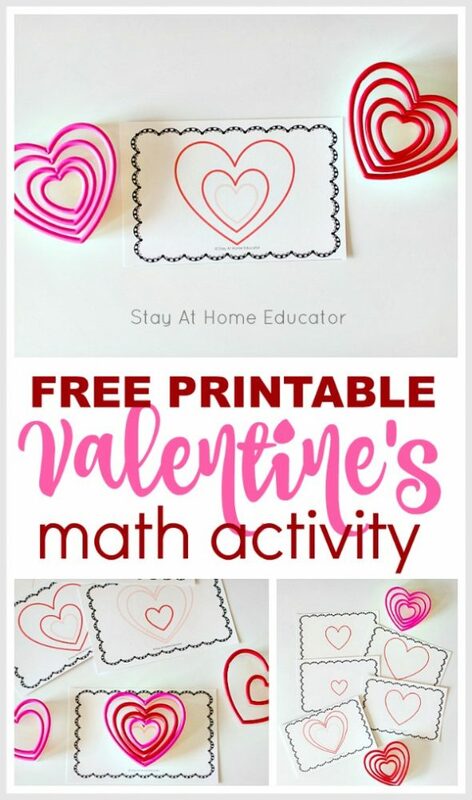 Then keep reading for more free Valentines’s printables and measurement activities for preschoolers, too! You might like some of these! Just click the image. 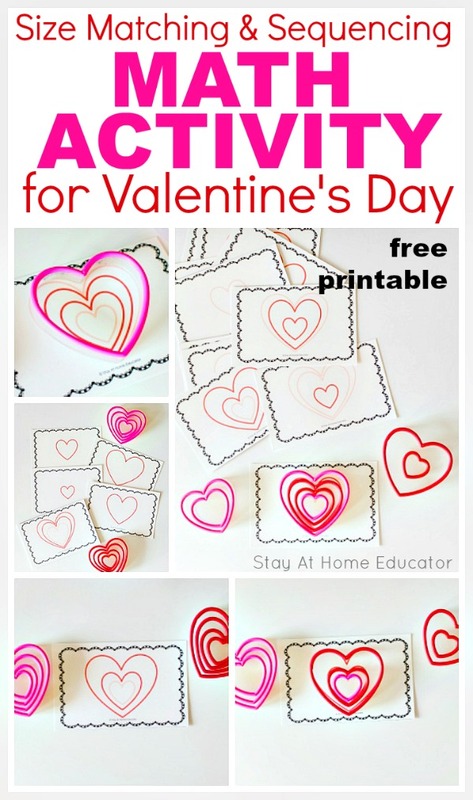 But keep reading to get some FREE Valentine’s printables, too! 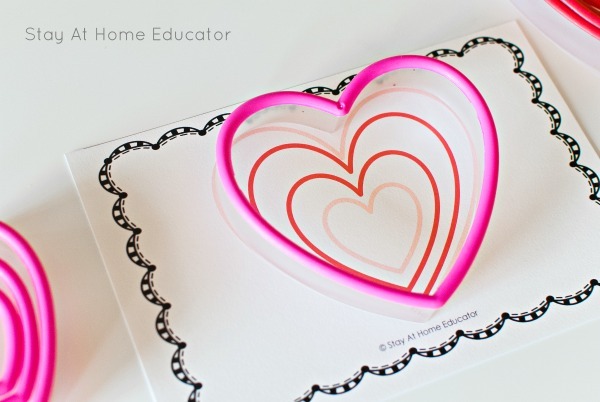 Want More FREE Valentine’s Printables? Here you go! 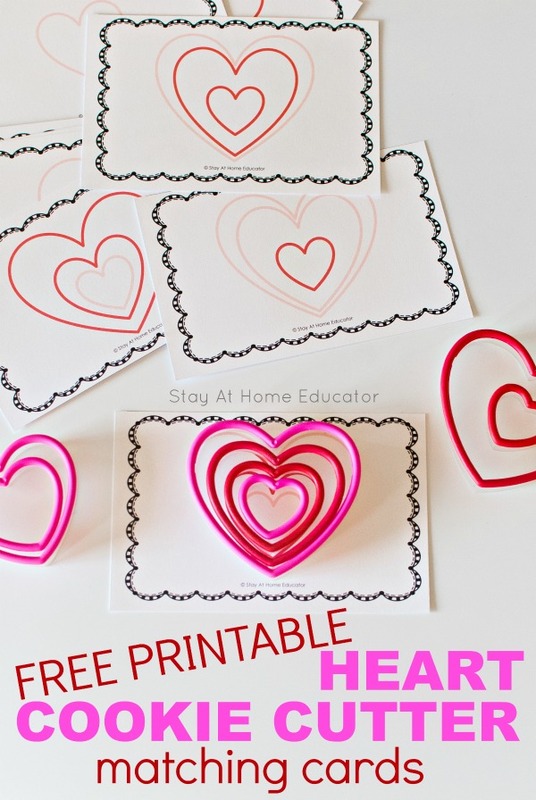 Just click the images to be taken to the post where you can download these free Valentine’s printables! 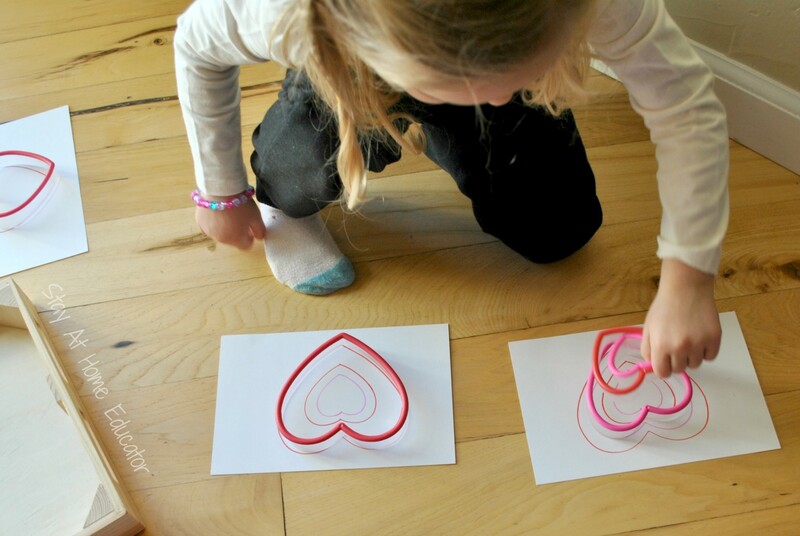 And your preschoolers will love these printable Valentine’s activities! 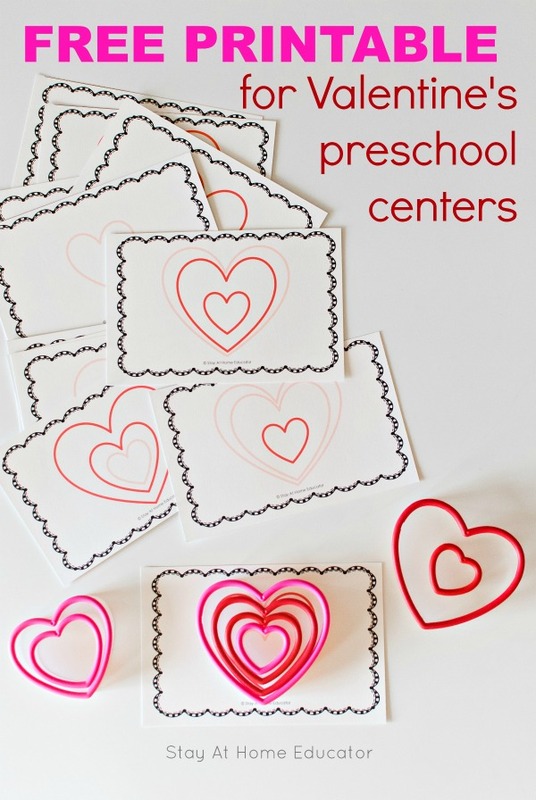 They make the best Valentine’s centers. 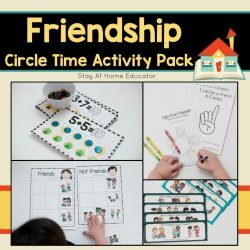 You might also like my new Friendship Activity Pack, too!